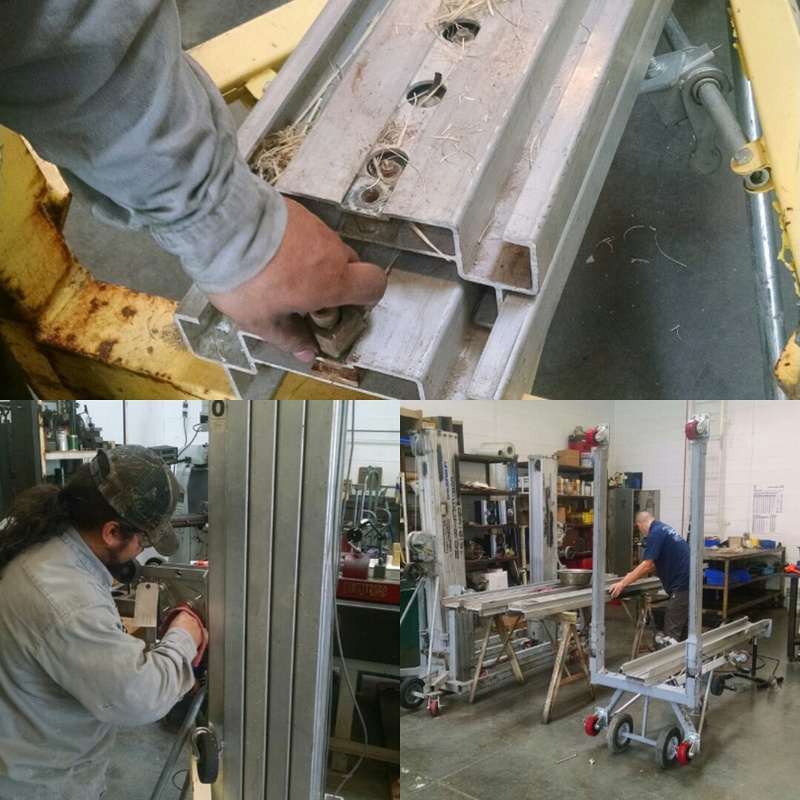 Why loose your investment by replacing your used and tattered material lift when you can save approximately 50% of the price of a new lift by rebuilding or maintaining your old material lift. 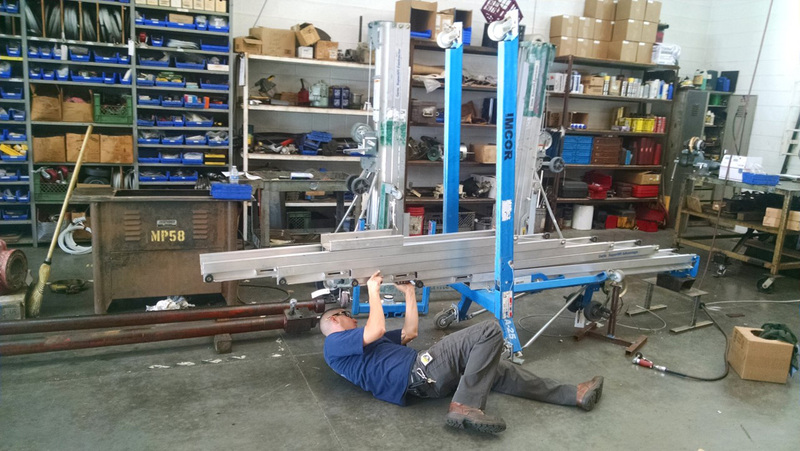 In most cases, The Werks C&C can rebuild your material lift and get it working like new. We can rebuild Sumner & Genie material lifts. 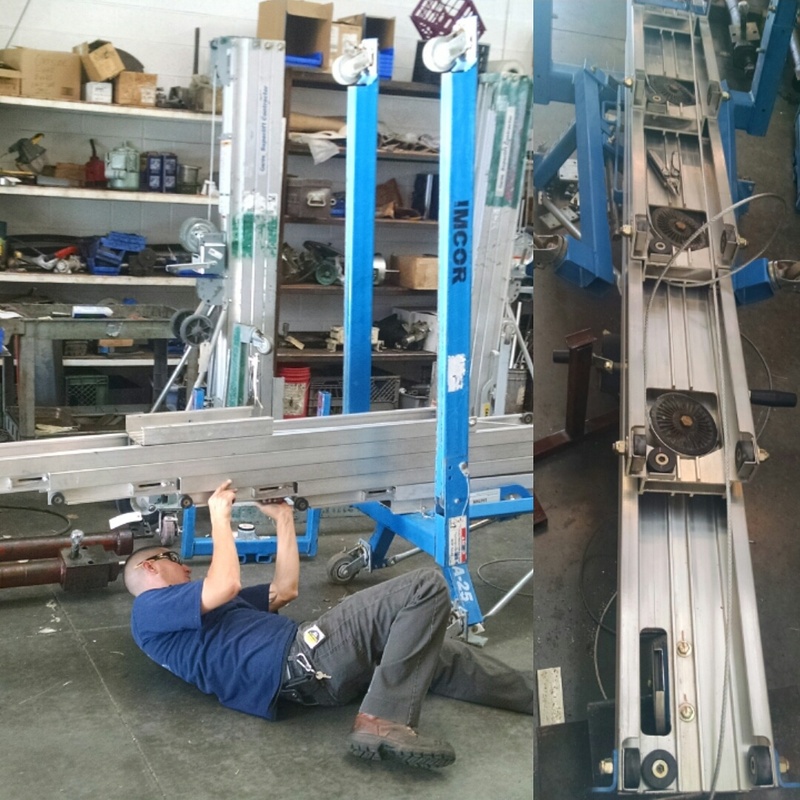 Whether the lift is gas charged, electrical, or mechanical we will rebuild it from cables to complete mast assembles. 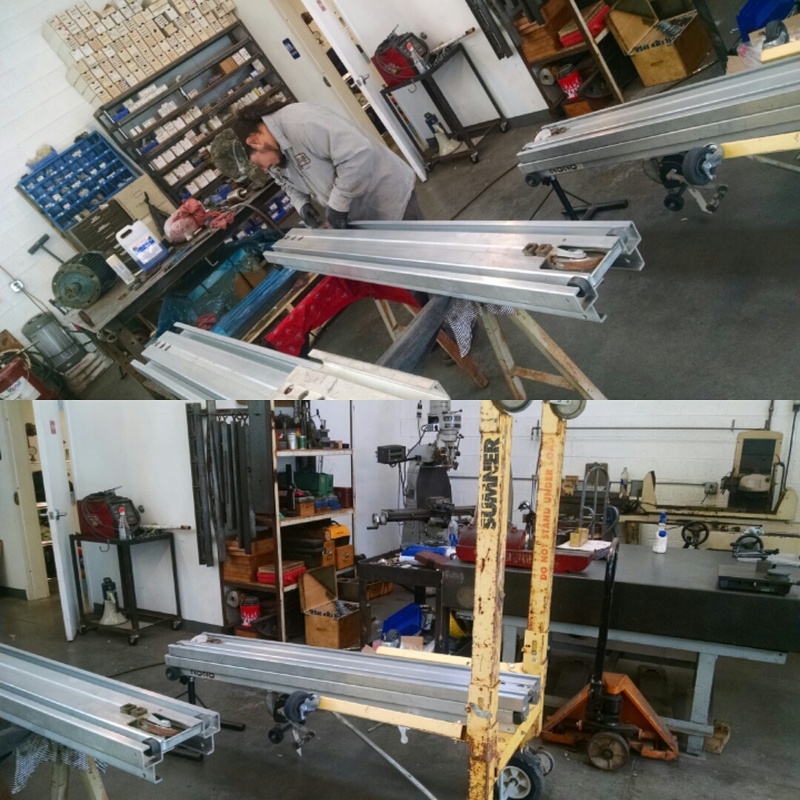 Our facility carries a full inventory of replacement parts with factory authorized technicians for all your material lift repair needs.